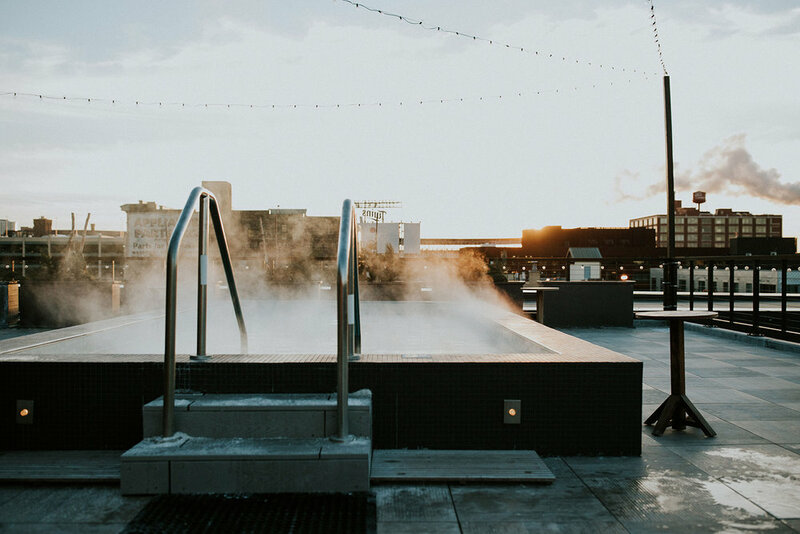 Hewing Hotel, an Aparium hotel in Minneapolis, has recently launched a new take on hotel wellness with their Meet the Heat sauna program. 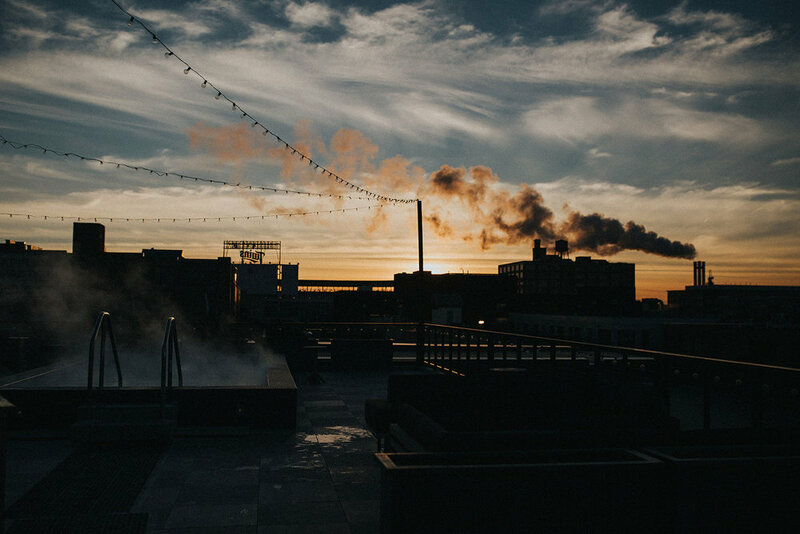 Hewing Hotel, a luxury hotel uniquely tied to the rich history of Minneapolis, has launched a new Meet the Heat sauna program centered around the property’s 24-person rooftop sauna in partnership with Sauna Society Outfitters—an organization that that brings the wellness benefits of sweat bathing to life throughout North America with sauna experiences, trainings, and product development. In support of the revival of Nordic sauna tradition, the Meet the Heat program features regular "office hours" hosted by trained Sauna Meisters to educate guests on how to properly utilize the offering. They also offer ongoing social programming to encourage sauna practice such as Aufguss by Alex, Full Moon Steams, and more. Sauna Office Hours: Head to the rooftop for “Office Hours” where a Sauna Meister will assist you in discovering the mental, physical, and social benefits of your optimal sauna experience! Conditions permitting, a cold plunge pool may be available upon request, allowing participants to fully experience the benefits of traditional thermic bathing. Robes and towels may be checked out, and essential oil flights will be available for purchase. 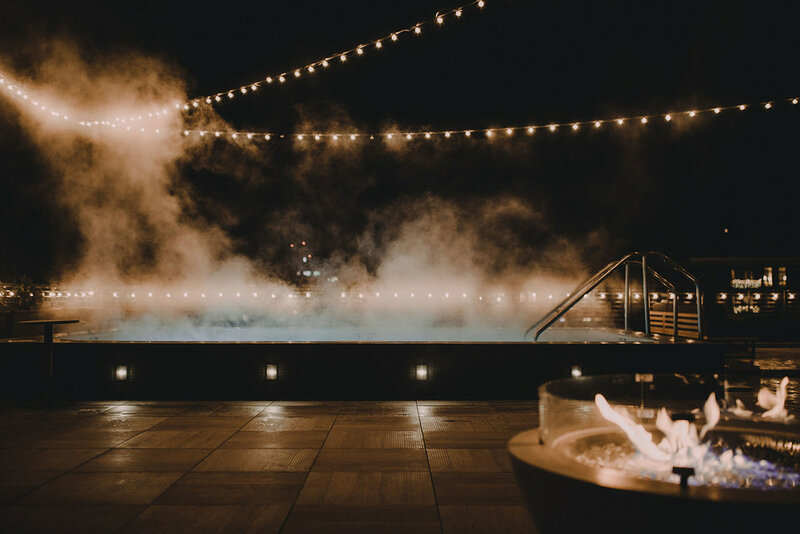 Full Moon Steam Medley: Experience a monthly takeover of the Hewing Hotel’s rooftop sauna to enjoy the kind of social steam experience that has made saunas an everyday luxury and necessity. The Steam Medley kicks off with three Aufguss-style group steam rounds from 7 - 8:30 p.m., followed by an open swim and sauna soiree. Aufguss by Alex: Aufguss is a German sauna tradition that is currently gaining popularity in the United States. The word “Aufguss” can be translated with “infusion” and the verb “aufgiessen” means “pouring.” An essential part of the Aufguss experience is to pour water on the hot stones of the sauna oven. Meet the Heat Sauna Series FEAT Mindful Movement w/ Doctor of Physical Therapy Ashley LaBore: While the body is fully grounded, it's a great time to practice the art of mindful movement. These phases of grounding, breath control, stretching, mindful movement, and meditation/gratitude will be experienced inside the hot sauna as well as outside/on the rooftop to tap into the body's inherent amazing ability to practice thermal regulation! 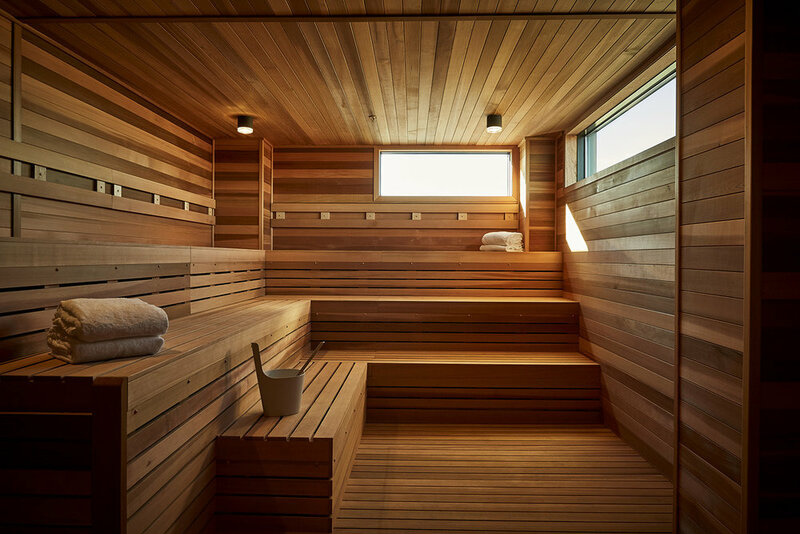 You can expect to leave feeling de-stressed, energized yet relaxed, and a deeper connection to yourself and your sauna community. The new program is centered around the property’s 24-person rooftop sauna in partnership with local sauna stewards Sauna Society Outfitters.